To put it simply, the annual meeting of the American Society of Clinical Oncology (ASCO) might be the most important moment of the year for cancer research news. 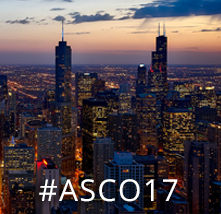 With over 35,000 attendees descending on Chicago from all over the world, ASCO is the largest gathering of cancer research in the world. Taking place this year from June 2-6, ASCO is the meeting where researchers and companies hope to announce some of their most meaningful clinical trial results because they know the news will be heard in front of the largest and most respected audience in the industry. The Cancer Immunotherapy ETF (Nasdaq: CNCR) team watches ASCO closely because cancer immunotherapy research continues to play a growing role. In fact, ASCO named immunotherapy as the Society’s “advance of the year” for a second year in a row for 2017. Given the importance, we wanted to highlight 10 key immunotherapy presentations to watch for at ASCO17. Today we are publishing the first five below in Part I of this post. Please watch for Part II to be published on Friday, June 2nd with an additional five. Efficacy and safety of epacadostat plus pembrolizumab treatment of NSCLC: Preliminary phase I/II results of ECHO-202/KEYNOTE-037. One of the biggest themes in research today is using immunotherapy drugs together in a combination approach to treatment. Immunotherapy is not one thing and there are many different pathways that might elicit an immune response against cancer. The idea behind combos is that you might see a stronger immune response that can help more patients respond to treatment by utilizing different pathways. 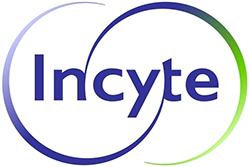 Incyte is an emerging leader in this combination approach via a drug they are developing called epacadostat. It targets a pathway called IDO. At ASCO, Incyte and its partner Merck are presenting data from a study where they have combined Incyte’s IDO inhibitor epacadostat and Merck’s PD-1 inhibitor Keytruda (pembrolizumab) in patients with non-small cell lung cancer. Keytruda is already approved in lung cancer so the idea is to see if adding epacadostat on top of it will boost the number of lung cancer patients who benefit from Keytruda alone. Incyte and Merck plan to start a pivotal phase III study of this combination in lung cancer later this year so the ASCO data is important because it might provide a hint at that study’s chances of success. Earlier this month we have already seen some encouraging preliminary data from the ASCO trial. 35% (14/40) of lung cancer patients had an overall response to the combination of epacadostat and Keytruda, which compares to 18% seen in studies on Keytruda alone. However, new data at the conference will be needed to provide a more complete picture. A longer follow-up time will be presented so researchers can see what percentage of those responses have been durable and how many patients have actually seen their cancer stop progressing altogether. Those will be important clues about the prospects of this IDO/PD-1 combination. CAR-T is the type of immunotherapy where researchers reprogram a patient’s own T-cells and tell them what to look for in the body and destroy it. This approach has worked especially well in certain types of leukemia and lymphoma because those cancers express a protein marker called CD19 that can be used as an obvious target for the T-cells. A next advance that many people are looking for out of CAR-T is whether there are more targets and types of cancers this process might work for. One possibility is called BCMA, which is expressed on multiple myeloma. By programing T-cells to look for and destroy BCMA, CAR-T might be used to treat this additional type of cancer. Bluebird is a leader in this and started a first in human study of their BCMA CAR-T last year. Last November bluebird presented data from the first 11 patients in a study who received the company’s BCMA CAR-T. Of the six patients who received the two highest doses, 100% saw an objective response to the treatment and two received a stringent complete response, which means there was an absence of all cancer after the treatment. That of course is the best outcome possible so it sparked optimism about the potential for BCMA CAR-T. While the November data was encouraging, it is essentially as preliminary as trial data gets so researchers will be interested to see results from more patients and over a longer period of time. This is also important from a safety standpoint. The side effect profile seen in some CAR-T studies has been difficult to manage, although bluebird saw nothing concerning like that in their initial patients. At ASCO, bluebird will provide an update from this same study now that more time has passed. The new data will include safety and efficacy data from 18 patients with up to 12 months of follow-up. The hope is that the responses seen previously (especially the complete responses) will stay durable over this longer period of time, and that new patients will respond well to the treatment as well. It would be especially great to see more complete responses. In terms of safety, a hope is that bluebird continues to see little or no toxicities like cytokine release syndrome or neurotoxicity, two of the main side effects that have impacted other CAR-T therapies. Kite is a leader in the CAR-T approach to immunotherapy and, along with Novartis, is battling to become one of the first companies to have a CAR-T therapy approved for commercialization by FDA. In Kite’s case, the approval they are seeking is to use CAR-T against an aggressive form of non-Hodgkin lymphoma (NHL). They filed their application with FDA in late March after announcing positive data from a pivotal study in NHL using the company’s KTE-C19 CAR-T. Kite’s competitor Novartis is likewise seeking approval for CAR-T after announcing positive results in a different type of cancer, pediatric acute lymphoblastic leukemia (ALL). These are the early days of CAR-T so hopefully NHL and pediatric ALL will be the first of many cancers CAR-T works in and is ultimately approved for by FDA. At ASCO, we will learn more about Kite’s chances of expanding their CAR-T success beyond NHL. They will present updated data from a study of CTE-C19 CAR-T in adults with acute lymphoblastic leukemia (ALL). As noted above, their competitor Novartis has already demonstrated positive trial results in pediatric ALL and is seeking FDA approval in that indication. Therefore, one thing we will learn more about from Kite’s ASCO data is the difference between how adults and children respond to CAR-T. Juno Therapeutics, another company in the CAR-T space, had to halt a trial in adult ALL last year due to severe toxicities so researchers at ASCO will be paying particular attention to Kite’s side effect profile in this study. One key question is whether those problems were unique to Juno or if adult ALL is particularly difficult to treat with CAR-T for all companies. Initial efficacy of anti-lymphocyte activation gene-3 (anti–LAG-3; BMS-986016) in combination with nivolumab (nivo) in pts with melanoma (MEL) previously treated with anti–PD-1/PD-L1 therapy. As we mentioned in our discussion of Incyte above, immunotherapy is not one thing and researchers are looking at many different pathways that might elicit an immune response against cancer. The most famous pathway is called PD-1, which is the target behind blockbuster immunotherapy drugs that are already approved by FDA like Merck’s Keytruda and Bristol-Myers Squibb’s Opdivo. There are dozens of other targets currently being researched and time will tell which of them work either alone or in combination with other drugs. Bristol has many such immunotherapy assets in their research pipeline to supplement the success of Opdivo. In fact, as a sign of its leadership in oncology, the company has 80 presentations scheduled for ASCO that compromise over 20 different types of cancer. One presentation to watch for at the meeting is from a study using Bristol’s anti-LAG-3 asset, BMS-986016. The study is important because this is the first time we have seen efficacy data from Bristol using LAG-3 so researchers will be watching closely to assess its potential as a pathway in immunotherapy. LAG-3 affects T-cell function and therefore is a potential immune checkpoint target like PD-1. This particular ASCO study will be in combination with Opdivo for melanoma. You might already know that Bristol has another immunotherapy drug called Yervoy that is approved in combination with Opdivo for melanoma, but that combination can be hard to tolerate for some patients. This makes the LAG-3 data even more interesting because it will provide clues about whether BMS-986016 is potentially a better partner drug when it comes to the combo approach. In addition to this LAG-3 study, watch for data from another target, GITR, and combination data Bristol will have with Incyte’s IDO inhibitor epacadostat to be other focuses at ASCO. Expanded phase I study of intratumoral Ad-RTS-hIL-12 plus oral veledimex: Tolerability and survival in recurrent glioblastoma. Recurrent glioblastoma is a particularly devastating cancer with a median overall survival of only 6-7 months. New treatments are urgently needed for patients. ZIOPHARM has been developing a gene therapy candidate (Ad-RTS-hIL-12) for recurrent glioblastoma that expresses interleukin-12 (IL-12) when activated by an oral drug called veledimex. This is an immunotherapy approach because IL-12 is a cytokine, a cell-signaling protein that stimulates an immune response to the cancer. Unfortunately IL-12 is too toxic to be used on its own as a traditional therapy for glioblastoma so ZIOPHARM’s idea is that by expressing it locally in a way that can be started or stopped with the oral veledimex, they might be able get the immune system to combat the patient’s tumor in a way that is more tolerable. At ASCO, ZIOPHARM will present updated data from a dose-escalation study and 20-mg expansion cohort using this gene therapy approach. Given that Ad-RTS-hIL-12 is such a highly technical therapy and that the oral veledimex is designed to start and stop the IL-12 treatment when needed, the safety profile is something that will be particularly noted at ASCO. Researchers will also look for survival trends and other responses to the treatment, and to compare those to what has historically been seen in these poor prognosis patients. 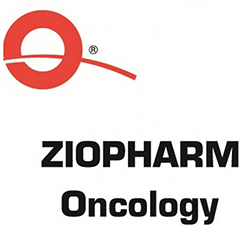 ZIOPHARM plans to initiate a pivotal registration study of Ad-RTS-hIL-12 sometime in 2017 and the updated ASCO data will provide a glimpse as to the feasibility of conducting that trial and the likelihood of it succeeding. This is ZIOPHARM’s most advanced program so the results are key for the company. As you can see, 2017 is setting up to be another very busy year at ASCO for immunotherapy. Don’t forget to look for Part II of our ASCO preview as the conference kicks off on Friday.